More on Games Job Board – the specialist job site for the global games industry. 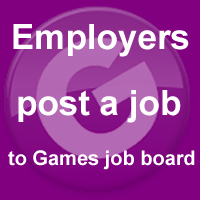 Games Job Board is the specialist job board serving the global games industry. Simply named, it delivers more games jobs in more locations to more job seekers in one of the most exciting industries on the planet. If you already work in games or if you think your skills would be attractive to a game developer, publisher or other games industry employer, you need to check this specialist job site on a regular basis. Delivering job seekers in games. Games Job Board is the specialist job board serving employers as well as job seekers in the global games industry. More jobs advertised means more job seekers visiting this site. We offer attractive rates and a simple interface for employers taking advantage of this site. Try this site today and see a real return in quality resumes. Games Job Board is powered by the JobThread engine. JobThread, Inc is privately held company based in New York City that was founded in 2003. The JobThread engine directs job application to the employers and recruiters who have posted opening on Games Job Board. Games Job Board does not see or have access to these job applications. 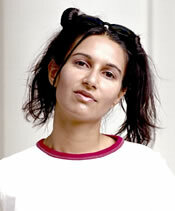 Any questions on specific jobs will need to be directed to advertising employers and recruiters. Games Job Board is not an employment agency or recruitment consultancy. We do not currently have openings for staff at Games Job Board. Games Job Board is part of the DS Interactive Ltd group of companies.